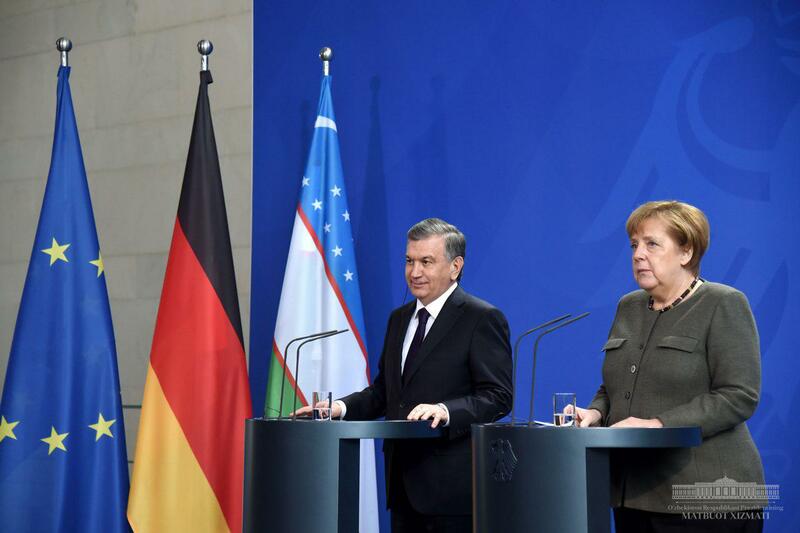 Before the talks between President of the Republic of Uzbekistan Shavkat Mirziyoyev and Federal Chancellor of Germany Angela Merkel, a briefing was held for mass media representatives. It was noted that the parties have reached agreement on bilateral projects worth €8 billion. “The two sides are ready to expand cooperation in investment and technology. During the business forum, which was held on the eve of the Uzbek President's visit, it was noted that agreements on implementation of new projects worth more than €8 billion and other treaties are underway, the press service of the president reports. Availability of great potential was also highlighted for expanding the network of schools with in-depth study of the German language, including the development of ties with leading German universities.